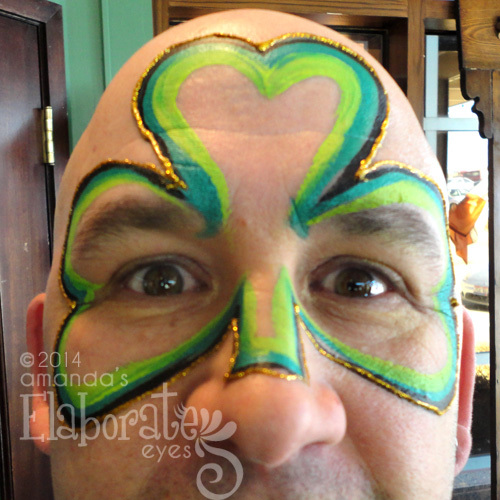 My happy thoughts are a tad belated, but I do hope you had a fun day being Irish! 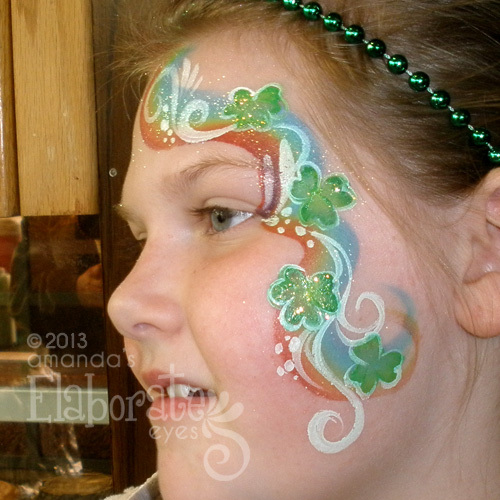 I had fun painting lots of people of all ages, and got some great photos to share. 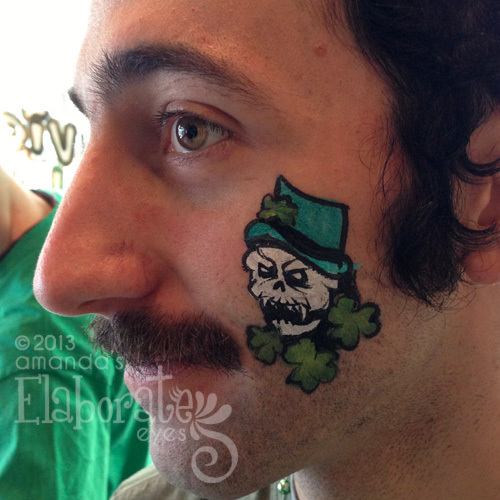 Hopefully I’ll be painting YOU green next year! 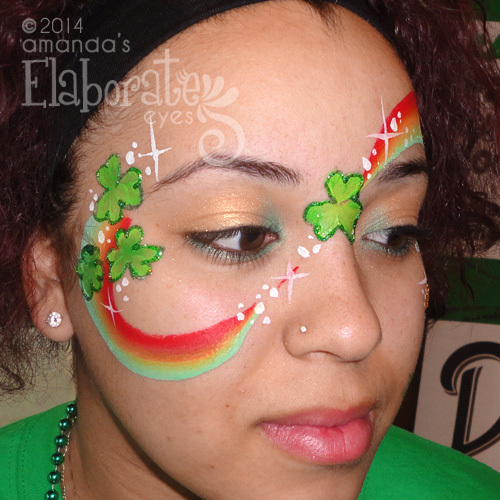 Prepping for St. Paddy’s Day! 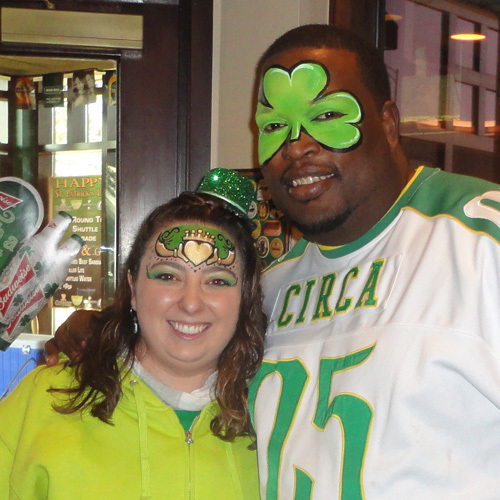 It might still be mostly white in Cleveland, but in 10 short days everyone will be thinking GREEN! 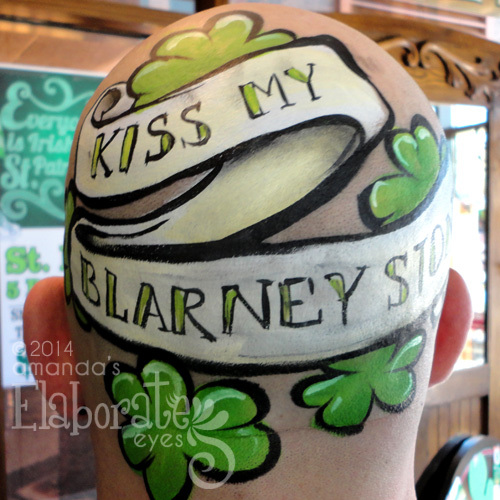 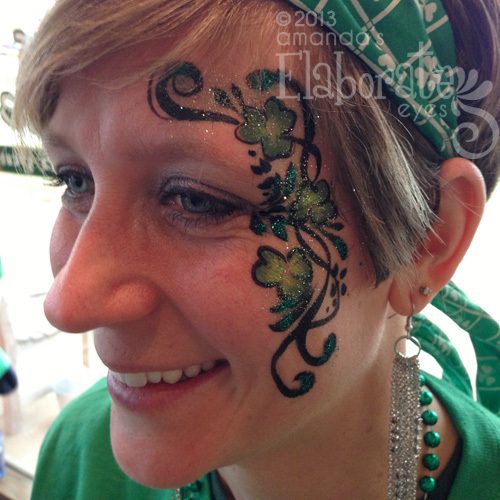 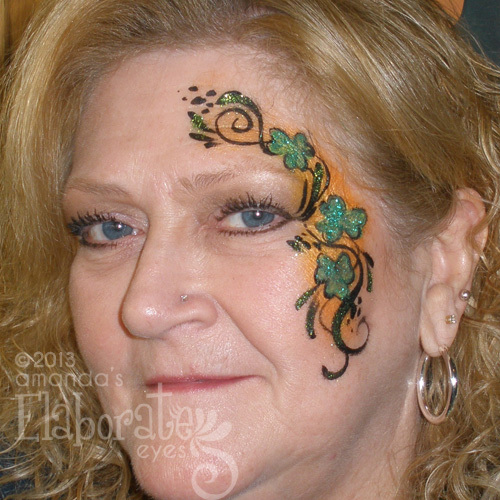 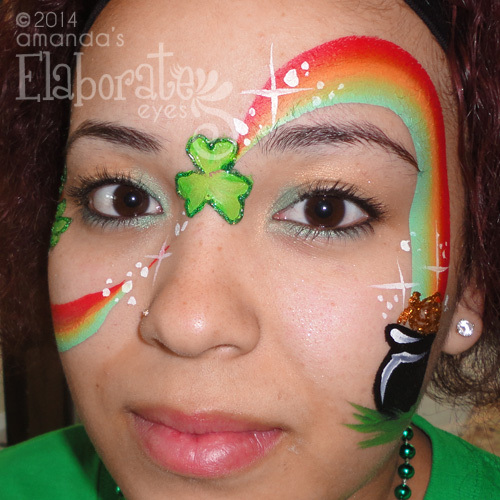 Everyone is Irish on Saint Patricks Day, so why not get yourself painted by yours truly and show off that Irish pride! 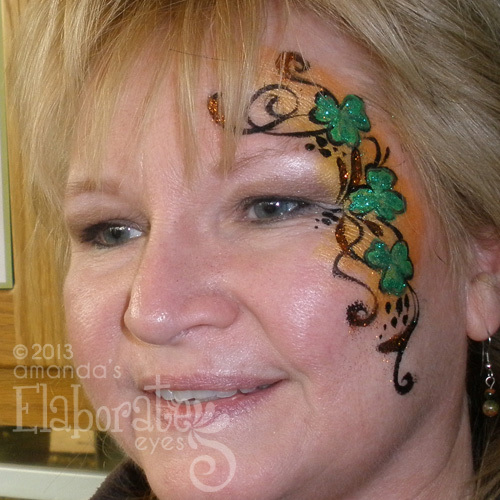 I am excited to announce that I will be painting faces at Mavis Winkles in Independence again this year! 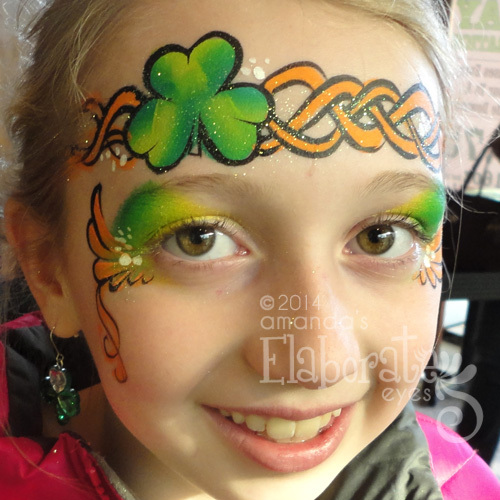 Come out for a full day of festivities, Irish food, and face painting! 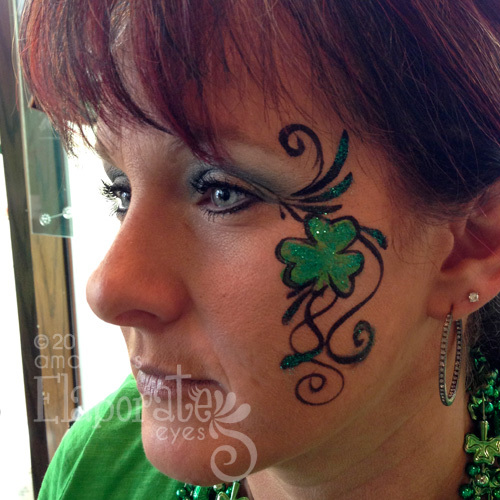 Plus they will be offering shuttle service downtown starting at 11 am if you want to go see the parade, but don’t want to deal with the crazy traffic and hefty parking fees! 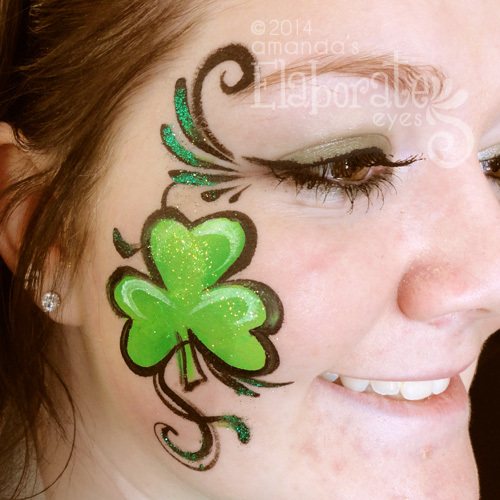 Come see me on Monday, March 17th at Mavis Winkles and get festive! 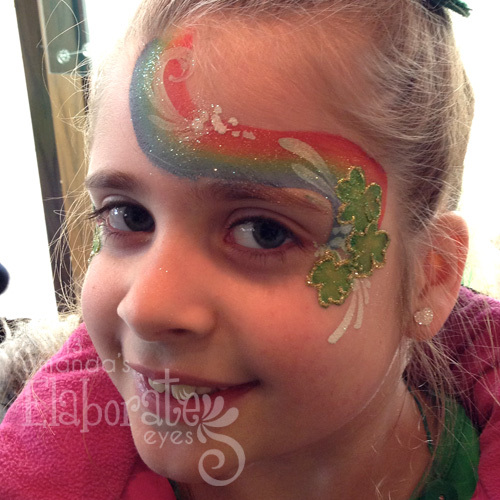 SUNDAY, MARCH 17th – 9am – ??? 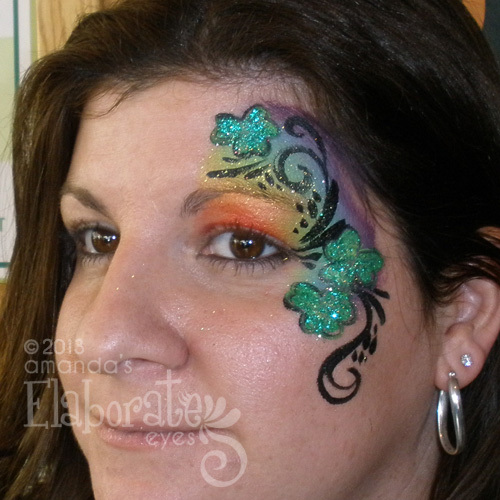 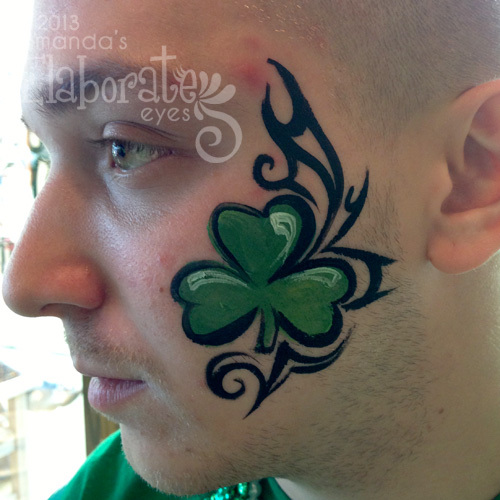 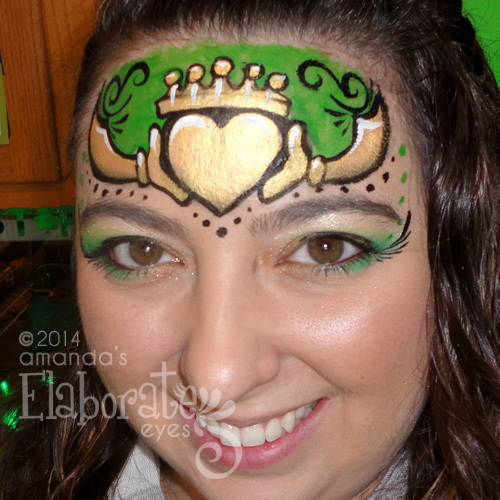 I will be face painting at Mavis Winkles for their Big Bad St. Patrick’s Day Bash! 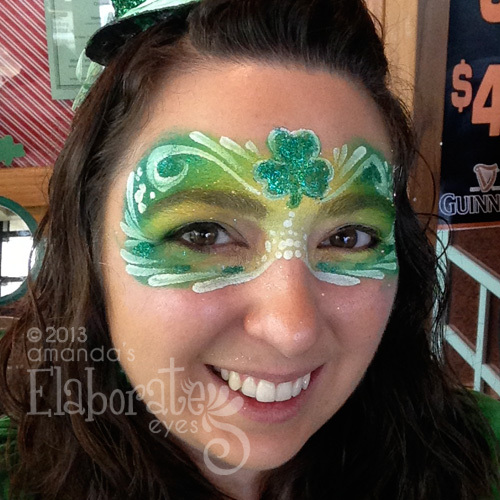 Come get your green on and celebrate St. Paddy’s day in festive style! 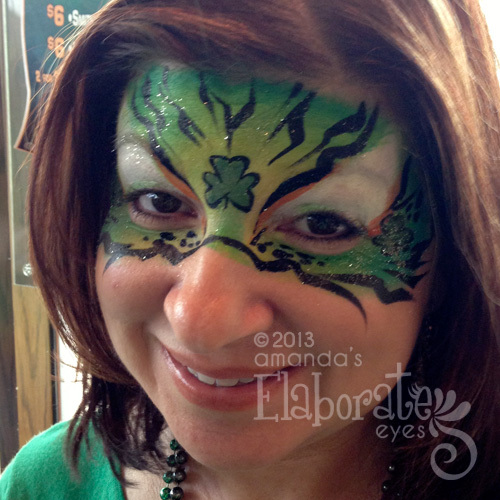 I hope to see you at one of these amazing events!! 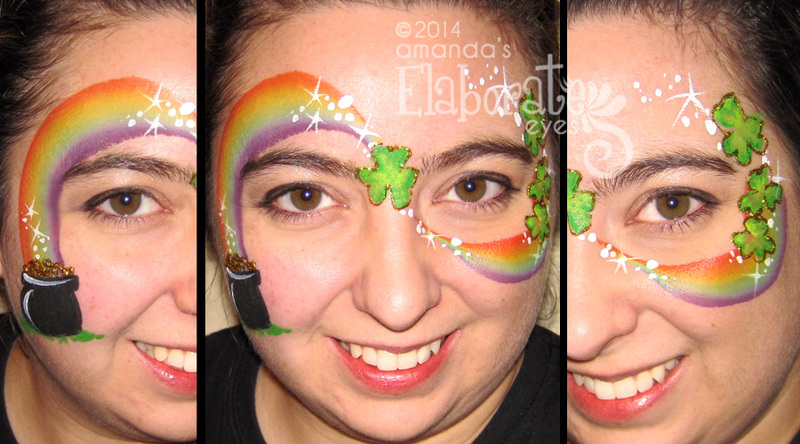 Happy March face paint fans! 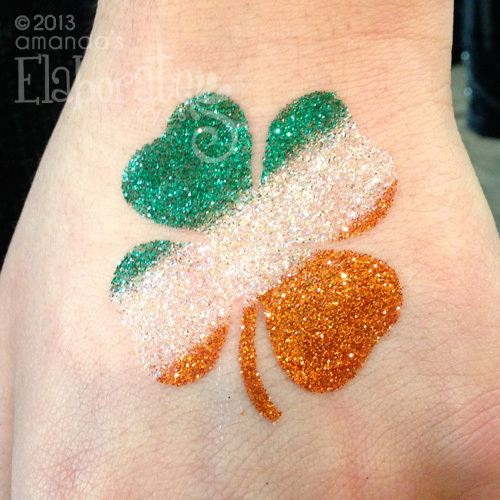 This month is going to be choc full of fun designs because the lucky month of March gets TWO big holidays this year! 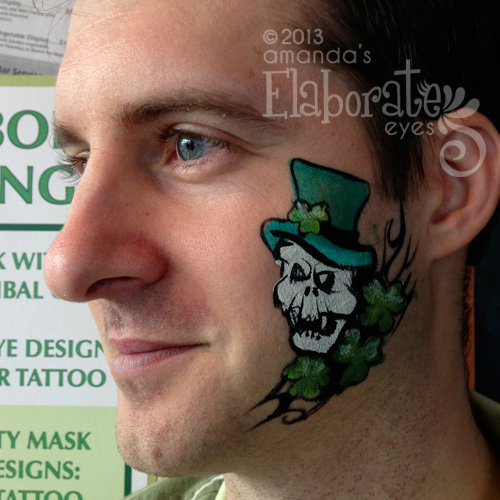 And what better way to get in the spirit than painting it on?! 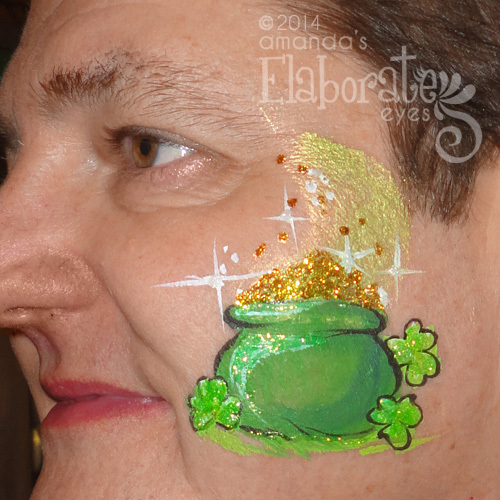 So in preparation for the first big holiday I’ve started painting some fun new designs specifically for ST. PATRICK’S DAY! 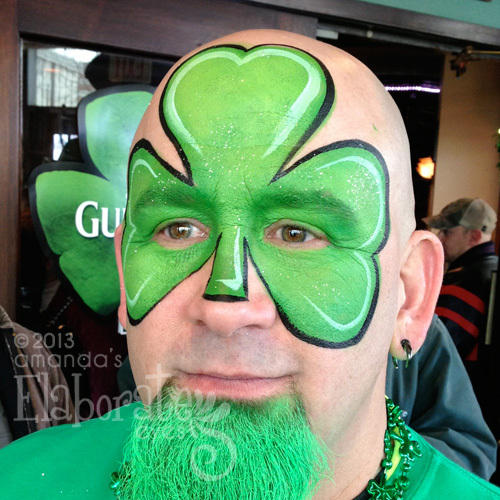 Here in Cleveland we LOVE St. Patrick’s day. 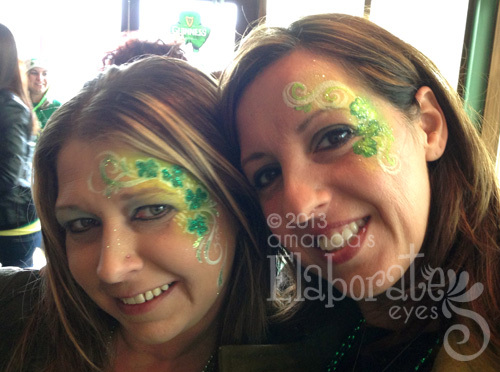 (lots of Irish here ya’ know). 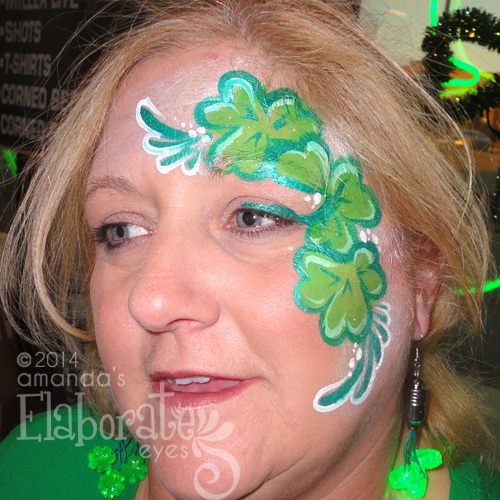 This year I am pleased to announce that I will be painting at MAVIS WINKLES IRISH PUB in Independence, on Rockside Road. 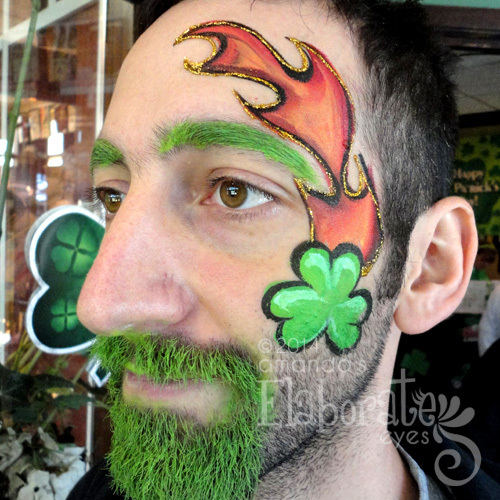 They will have festivities going on all day, including live music by the fantastic local band CRAIC. 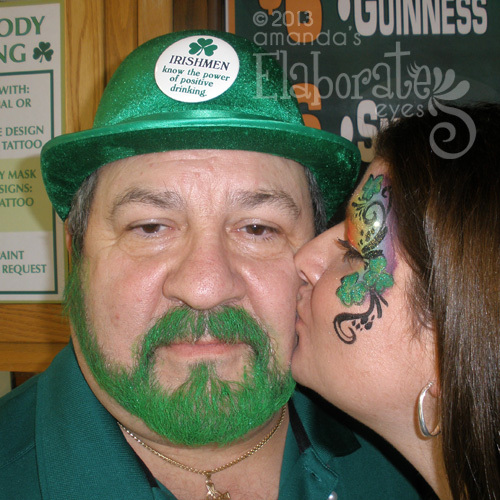 They are also offering free shuttle rides to and from downtown for everyone who wants to see the parade, but doesn’t want to deal with parking (or driving after they’ve had a few green beers, if’n ya know what I mean). 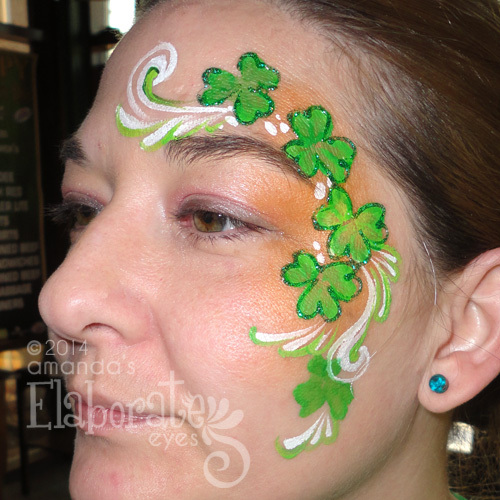 So come see me and get painted up green on St. Paddy’s day!